Drunk driving is a common term used to describe the crimes of driving under the influence of drugs, alcohol, or other chemical substances. It is a misdemeanor with maximum punishments that vary greatly depending on the specific facts of the case. The state laws are listed in the transportation section of the code rather than the criminal law section, but it is a crime, and upon conviction will result in criminal sanctions including fines, jail time, and or license suspensions. The severity of the punishments depends on such factors as whether the defendant is a first time offender or a repeat offender. State law also provides enhanced punishments if a minor was present in the defendant’s car at the time of the the arrest. The following paragraphs will serve as an overview for drunk driving laws and sentencing provisions. For a more detailed explanation about the exact consequences of this common charge contact a Baltimore criminal lawyer for a free consultation. A defendant can be charged with DUI in one of two basic ways. After a traffic stop, if a police officer believes that the driver may be impaired by drugs or alcohol and cannot safely operate a motor vehicle, the driver may be arrested for drunk driving. Police officers typically come to the conclusion that a driver is impaired or under the influence through such investigative tactics as roadside sobriety exercises, engaging in conversation with the driver, and smelling the odor of an alcoholic beverage. A person may also be arrested and charged with drunk driving if he or she consents to a breath alcohol test and blows over the legal limit of .08. Blowing over the legal limit of .08 is considered per se driving under the influence, and even if the person’s normal faculties do not appear to be impaired, he or she may be prosecuted. The exact maximum punishments for DUI differ, but typically a first offense carries a maximum jail sentence of 1 year, a second offense 2 years, and a third offense carries a maximum 3 year jail sentence. If a person is convicted of a second offense within 5 years, he or she faces a minimum mandatory jail sentence of 5 days. A third conviction within 5 years may result in a minimum mandatory 10 day jail sentence. Multiple drunk driving convictions in Maryland may also carry mandatory comprehensive drug and alcohol assessments and treatment at certified or court approved facilities. These cases in may also carry heavy fines totaling in the thousands, and unlike most other criminal cases, judges and prosecutors typically require a drunk driving defendant to pay these fines. 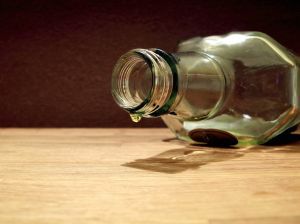 Drunk driving cases may also result in driver license suspensions and community service hours. This is a crime that can affect a wide range of people, and the consequences of a conviction can be severe and permanent. The experienced criminal defense lawyers at The Herbst Firm relentlessly fight to maintain their client's freedom, reputation, and driving privileges in all types of criminal cases. If you have been arrested or charged with any traffic crime, contact The Herbst Firm for a free consultation.